While in the middle of three giant loads of laundry and packing it as everything was dried, I suddenly remembered something. We never went shoe shopping this weekend. Sure we each had a pair of sneakers to take along on our Disney World trip, but that was about it for hubby and me. Nothing else really qualified as a comfortable walking shoe. So, I left the laundry behind to be finished later and we went to the mall. Our first stop was to Pay Less Shoes to get some new sneakers for the boys. Each of them got a new pair of velcro Smart Fit shoes for quick and easy on and off. Next, we tried the LLBean store where JL and I tried on some Keens. They did not have the right size for JL in the ones he liked. When I tried mine on I seemed to be right in the middle of a size and was not spending SO much money on something that was not quite right. After that we tried another shoe store in the mall. I tried on a pair of Teva per my father’s suggestion. Both of my parents have owned them, along with countless friends over the years. I put them on and oh my were they comfortable. Of course, I did not want to rush into things. I waited for JL to try on a pair of sandals and then we went to a department store that had a big shoe sale. For some reason said store did not have many shoes for women. Everything was dressy, but not casual and comfortable for walking. JL quickly found a bunch of shoes to try on. He even tried on Crocs that he liked a lot. In the end he picked out a pair of sandals that were closesd toed and very different than anything he has ever had. When all was said and done we had accomplished our mission. In fact, this weekend we managed to get a lot done. Almost all of our clothes for Disney World are washed and packed, shoes bought, haircuts for all of us (yes I had mine significantly chopped), traveler’s checks purchased, lists made and brain working at warp speed! Looks like a great shopping trip to me! 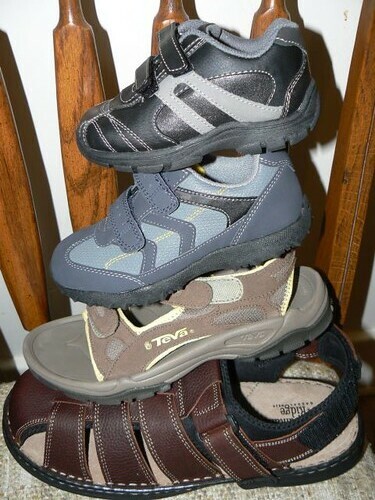 I used to live in Teva’s, and might bust mine out again this summer. We’ll see. RobMonroe’s last blog post..200th Post! I love those Payless shoes for the boys! 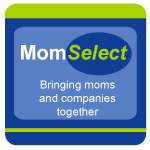 I’m going to have to check out their selection for girls. We have been less than happy with the selection for my daughter this year. Hubby’s got a pair of sandals very similar to those. 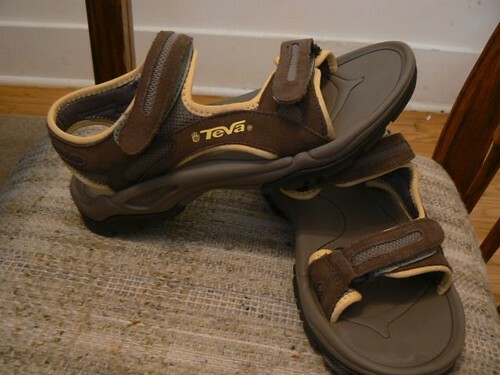 :) I love the Teva sandale but I am not sure I want to know how much they cost. I will just close my eyes and pretend that I can get a pair if I really want to. :) Comfortable shoes are a MUST at Disney though. Nice – love the Payless shoes for the boys. 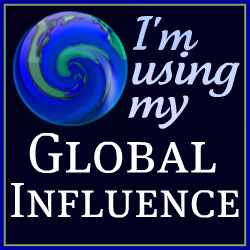 Nancy’s last blog post..Go! Go! Go! And then sleep. whew, that’s a lot of shopping! wear them in good health!!! !